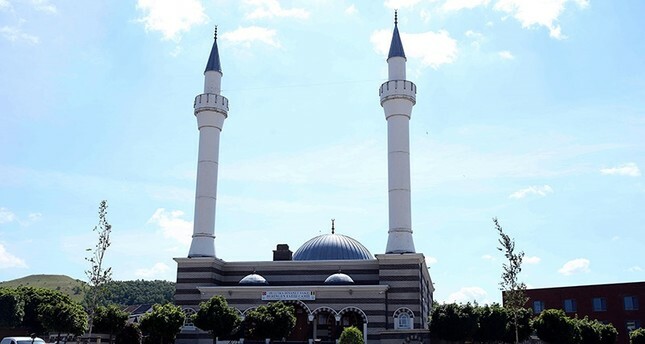 Flemish Interior Minister Liesbeth Homans announced early this week that they have withdrawn the official recognition of the Fatih Mosque in Beringen, accusing the mosque of spying on members of the Gülenist Terrorist Group (FETÖ) to Turkey. In a statement released by the Belgium Turkish Directorate of Religious Affairs Foundation (Diyanet), it was reiterated that Homans based her decision on an intelligence report, a claim that was denied in a statement released by the Belgian intelligence, which said there are no illegal or suspicious activities taking place at the mosques run by the Diyanet. Turkish mosques in Belgium are seen as a cure in the fight against extremism. According to a report by the International Centre for Counter-terrorism, Belgium has the most foreign fighters per head. Speaking to Daily Sabah, some Turkish-origin residents in Beringen stated that Belgian authorities are unfairly targeting the Turkish community due to large-scale insidious propaganda efforts by FETÖ members. "We are aware how they provide false information to the government and the intelligence agency. What all this dirty propaganda reminds me of is how FETÖ members cheated in exams to infiltrate into every single state apparatus in Turkey," said Fatih, a Turkish businessman in Beringen who refused to give his surname, fearing he would become a FETÖ target. When the interior minister first started the procedure to withdraw official recognition, the Fatih Mosque Association denied spying allegations and added, "What you call the 'Gülen Movement' is the group that is responsible for the coup attempt in Turkey. As Belgian Muslims, it is our duty to warn people of FETÖ, which is no different than Daesh." wing Monday's decision, Fatih Mosque Association head Selim Yıldız spoke to the press and said officially recognized mosques receive around 30,000 euros of funds to cover their expenses. "They want to pull this help from the Fatih Mosque. It's like a punishment. In a way they're saying 'if you act like this, we'll cut the funds'," referring to the early statement likening FETÖ with Daesh. Association deputy head Ali Türk told Daily Sabah that their request for a meeting with the minister had a positive response and the Fatih Mosque Association officials will be meeting with Homans on July 10. Speaking to Daily Sabah, Belgian parliamentarian of Turkish origin Mahinur Özdemir brought up the statement made by the Belgian Intelligence and defined the withdrawal of recognition as a "political decision." Özdemir says it is known that Federal Justice Minister Koen Geens is not in favor of such decisions against the Diyanet mosques and the far-right nationalist NV-A - the party that the interior minister is from - is politically against the recognition of mosques. "With this decision, they are also giving a message to other mosques. Such a decision against the Diyanet mosques, which are in a serious fight against terrorism, especially during these times, is upsetting," said Özdemir, adding that she is not hopeful about the outcome of Homans' meeting with Fatih Mosque officials. FETÖ targets Diyanet mosquesFETÖ-linked figures continuously appear on Belgian media demonizing not only the Turkish state but also the Belgian-Turkish community. Bahattin Koçak, the head of the FETÖ-linked Belgian-Turkish Friendship Association (Beltud), recently attended De Afspraak, a program aired on Belgian state-run TV station Canvas. Alleging that Turks have failed to fully integrate into the Flemish community, Koçak also argued that Turkey means a lot to Turks living abroad. "Turks in Belgium take a remarkably close interest in Turkey and we have to do something about this. Why have we tolerated the influence of Turkey for such a long time? For instance, the issue of mosques needs to be considered. Imams [in Belgium] should not be imported [appointed by the Turkish Directorate of Religious Affairs] and should be obliged to speak Belgian Dutch. Instead of importing, we should have our own national institutions." These remarks by Koçak are interpreted as an implication hinting at FETÖ's demand to control the mosques in the country and efforts to prohibit the mosques affiliated with Diyanet. the attorney of FEDACTIO, the deletion within 24 hours of the news contents on FETÖ's Belgium networking was requested.